These are my favorite feel-good movies in no particular order. An adaptation of Flipped novel by Wendelin Van Draanen. These middle school kids in the early 60's will prove to you that even at such an early age, love is possible. This movie is more than just conquering awkwardness growing up. It shows how girls think differently than boys. As with Juli, it shows how some girls are not all hair and no substance. The movie is also about family and the different views of people in life. Some of us lives in a fancy house, but all rotten and broken inside (like Mr. Loski) while others live simply yet are genuinely happy and have hearts of gold (like Juli's family). It is more than just a pa-cute story, mainly because of Juli; her family's love and values, her perspective, and the way she handles life. She maybe young, but unlike girls her age, she's got substance, and as Bryce's grandfather described her, she's "a girl with an iron backbone" and is "iridescent". She's got no time for shallow things and people. I also like the way how Bryce finally caught up with her, saw what a gem Juli is, and did everything he could to make it up to her. About an awkward 21 year old guy who discovered that he can travel in time; a family secret. He used this "gift" to find himself his one true love. As he travels in time, he learned that what he does today affects everyone else's future, and that there are things we take for granted that we can never take back. Time is the most valuable asset we can possess and the best gift we can give. I like Rachel McAdams. There was never a boring scene in the movie. I like Tim's character, all the sacrifices he did for Mary---even sacrificing their first date for his obnoxious friend, and the way he loves and puts his family first. My favorite part, but which also is the saddest part of the movie was when he traveled back in time with his dad, back when he was a kid and they would spend quality time by the beach. Two women from different generations, going through different everyday things, but with the same passion and spirit. This is about Julia Child's journey of becoming the famous professional cook that she was and Julie Powell, a telephone operator and a food blogger turned author whose book was made into this movie, and how their lives were changed by finding their passion. 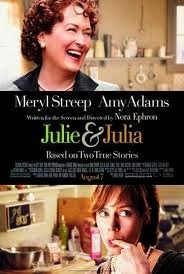 Meryl Streep and Amy Adams are a delight to watch. How Julie Powell's blog gained traffic is every blogger's dream. I've always been a frustrated cook, too. Julia and Julie are inspiring because they both didn't give up what they want in life despite the dream stealers around them. I like their perfect husbands! They're both very blessed to have very supportive partners. Two good looking strangers met, fell in love instantly, separated, hoped they'll meet again someday, and always believed they'll end up together. Finally after years of not seeing each other, fate made their paths cross and helped them find what's always been missing with their lives when they tried to live normally after their first meeting. 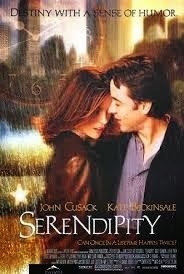 It's every hopeless romantic's kind of movie. Enough said. A romantic comedy film. It's about Lucy, a girl with Goldfield Syndrome (a type of anterograde amnesia) and Henry, a guy working in Sea Life Park who loved her despite their challenging situation. He did everything to make Lucy love him even if it means introducing himself to her, and making her love him everyday for the rest of their lives. It draws a beautiful picture of how love should be; persevering, patient and selfless. Love is not just lip service. It's not just a one-time deal or a one-day celebration. It's serving the person you love everyday. It's about being there in sickness and in health, it's facing every day's uncertainties with a certainty that love will get you through no matter what. A comedy about a regular guy with great ambitions who met God. He was given God's task and power and used it to his advantage, but eventually lost the one thing most important to him. I find Jim Carrey hilarious especially when he exaggerates. 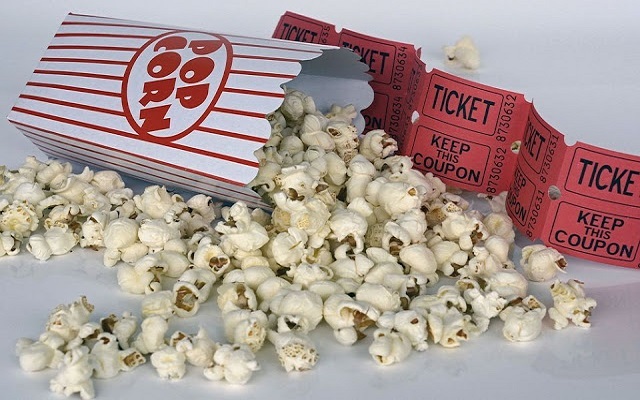 What I like most is the way the movie demonstrates what it means that God gives us everything we need, not what we want. It also shows how genuine His love for us is, because though He can do even the impossible, He leaves the choice to us, to either love Him or not. He never forces us to love, worship or serve Him. That's the gift of freewill. We can be drowning in blessings, but we can still choose to whether thank Him or turn our backs on him. 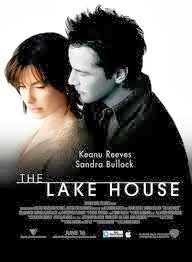 A remake of Korean film II Mare, The Lake House is a romantic drama about an architect living in the past and a doctor who lives two years ahead. They communicated by sending each other mails until they finally decided to meet. The uniqueness of the plot is captivating. I just can't imagine holding on to something as strange and as beautiful as loving someone from a different time. It's not everyday you encounter a love story as admirable as this. Plus of course, Keanu Reeves. A fantasy love story about unfinished business. Elizabeth is a dedicated doctor whose life revolved around her work. David Abbott is a landscape architect who's mourning his wife's death. Both have emotional and personal issues. Both will discover what they need, what they're missing, and how to resolve their issues in an unexpected way. Mark Ruffalo seems like the nice unassuming guy you can't help but adore. He's so winsome. The movie is about knowing that there are more important things in life than work or career. It also shows how we stop ourselves from experiencing beautiful things in life if we keep holding on to our past. 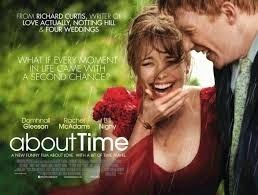 Yet another movie that shows how love could be the most powerful force on earth. Afterthought: Looking at this list made me realize what a sucker for love stories I am.